The VTS usually consists of approximately 15 trainees in each year group. We meet on Tuesday afternoons opposite St Thomas’ from 14:00 - 17:00 for a weekly educational half day release from hospital and GP posts. This usually consists of an equal split of peer support and educational content, which varies from peer presentations to outside speakers. We do not meet during bank holiday weeks but have an annual Christmas dinner for all trainees. Unusually compared to other schemes we ensure all our trainees get released for the educational half day- even during the hospital posts (with the exception of the A&E posts). This means you really get to know other trainees on the scheme very well throughout the 3 years. The Programme Directors have a varied career profile and so can provide diverse career advice. Many trainees qualifying from the scheme choose to carry on working within their training practice or in the surrounding area; though many wish to leave London having taken their unique experiences with them. 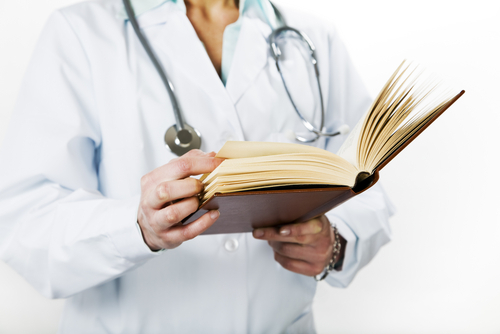 In order to become a GP in the UK, you need to have completed a minimum of 3 years vocational training and have passed the AKT (applied knowledge test), CSA (clinical skills assessment) & WPBA (work place based assessment). This is tested as a MCQ, OSCE type exam & e-portfolio respectively. Details are available via RCGPhttp://www.rcgp.org.uk/gp_training.aspx . 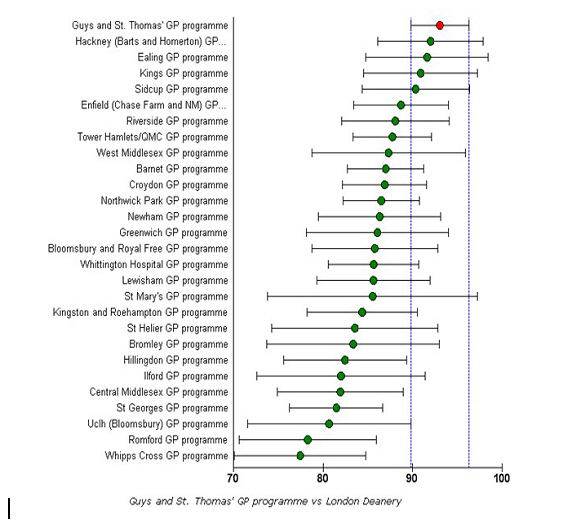 Currently all GP trainees need to spend 18 months in general practice, with 18 months in hospital. We try to allocate trainees sensibly based on their previous experience. Currently we allocate trainees to 2 different practices (one for six months in ST2 year, and a different one for 12 months in ST3). Your educational supervisor will be allocated once you join the VTS and will, for continuity, generally be your ST3 GP trainer. Having qualified from GKT in 2003 and left Guys and St Thomas’ GP VTS in 2007, I continued to stay local and stayed on at my training practice. I was a GPwSI in COPD. I also have other educational roles at postgraduate board level at Guys' and St Thomas as well as at F2 level for HESL. I am passionate about football and spending time with my two young boys. The newest of the programme Directors, I have been a GP at South Lewisham Group Practice for over 10 years. I have special interests in drug misuse and women’s health. My GP training included working in Newcastle, York and New Zealand interspersed with two winters in the French Alps before moving to London. I am enthusiastic about General Practice and medical education but also outdoor pursuits including camping, walking and skiing. I have been working as a GP in South London since 2005, first as a Locum, then as a Salaried GP and, since 2009, as a Partner at Amersham Vale Practice in Deptford. Through working there I have developed relationships with patients from a diversity of nations, cultures and backgrounds, who bring a corresponding multiplicity of health beliefs and stories. In 2008, having completed the DipTropMed (London) I worked in Guyana as a Primary Care Clinician with the Warau and other riverain communities near the Venezualan border. I learnt that the biggest challenges in our work, wherever we are, are relational. I love jazz and sometimes think of the consultation as a form of improvisation. I encourage trainees to allow their own interests and experiences to enhance their practice to promote the idea of a rich work-life symbiosis. There are 2 residential away days each year held at either Bore Place in Kent or Cumberland Lodge within Windsor Great Park. These are ideal opportunities to meet, bond and network with your fellow trainees as well as cover some primary care related topics in detail. This year we have covered topics like pharmaceutical companies; statistics in medical journals, book club, “the Cumberland Lodge Group Practice”. The friendly atmosphere of the scheme is enhanced by allocating each new ST1 a mentor from within the scheme. The away days are paid for by the scheme and are in September and May respectively.